Tesla is doubling down on its solar ventures by tying up with America’s largest home-improvement chain, Home Depot, to roll out “Tesla-branded selling spaces” at hundreds of Home Depot stores around the country. As part of the deal, 800 out of Home Depot’s 2,200 stores around the country will be outfitted with Tesla-branded spaces that will be staffed with uniformed Tesla employees who will be at hand to demonstrate the company’s solar panels and Powerwall battery. That’s according to Bloomberg, which says Tesla has confirmed the report to them. The Tesla displays within the Home Depot stores will be 12 feet tall and 7 feet wide, with some locations even “fitted with visual demonstrations that show how the products work”. 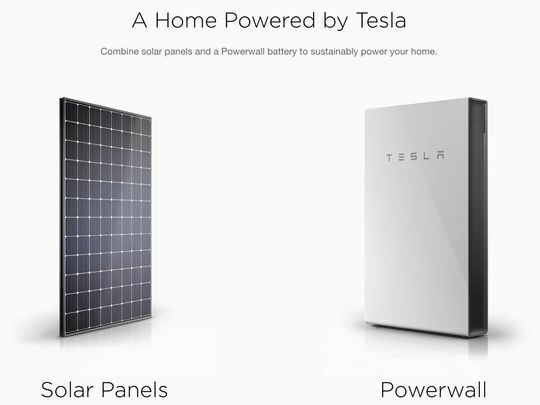 What’s interesting, however, is that Tesla’s solar roof will not be displayed in the Home Depot stores to start with, although, they may be added to the mix in the future. Tesla was also originally believed to be in negotiations with Lowe’s – the country’s second-largest home improvement chain after Home Depot – for a similar tie-up, although, a spokesperson for the retailer has since told CNBC that, “We don’t have any plans to carry the products at this time”. What’s interesting here is that a Tesla-owned company called SolarCity once sold its Eco-friendly products from Home Depot, although, that arrangement fell through at some stage after the 2016 Tesla takeover. Now that all-new solar products from Tesla are set to be sold through Home Depot, the arrangement is expected to help the Silicon Valley tech giant test the market-response for its products in a move that will likely help the company expand its renewable-energy business beyond automobiles.